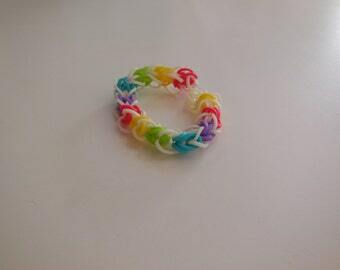 Stitch this lovely bracelet on a loom or you can use square stitch. You must know how to do either of these stitches, there are no stitch or clasp instructions. 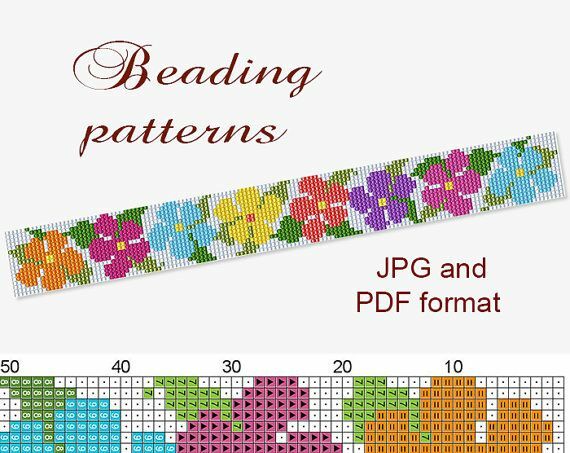 The pattern includes a large color graph, bead counts, color suggestions and a word chart for the loom only. The bracelet is …... Take the loom and make sure that red arrow is pointing away from you. Take a yellow loom band; put it in the centre first peg and loop it to the first left peg. Take the loom and make sure that red arrow is pointing away from you. Take a yellow loom band; put it in the centre first peg and loop it to the first left peg. This Pin was discovered by Kerry Hoffman. Discover (and save!) your own Pins on Pinterest.